Paul Hype Page Professional Services fees for (Price / Charges / Company registration setup step by step video). We offer Singapore company incorporation, consultancy services, auditing, taxation, immigration & compliance services. All your business and company needs in one place. – Which package should I choose to be able to open a bank account for my collections? – Are there any tax or cost involved other than the mentioned as the package costs? – When I invoice for my services will I be subject to any direct or indirct tax? – What is the duration of setting up the FZ company? 1) To start a firm, you need to meet 2 conditions local resident director and physical office address. Our Incorporation with Nominee director package allows you to start a bank account immediately. 4) To set up a Singapore firm , it takes about 7 working days. I am in UAE right now. I would like to start a small business as Labour consultancy firm in singapore. Please send me the full details. Please mention with labour laws in singapore. Wages policy, Residents policy. Also your fees in addition. Sir we are vegitable and fruits trader from India. Now we want to start our company in Singapore for same purpose. You can set up a company in Singapore as your regional hub where it serves as a sales center to export all products from India. Singapore has a good tax , banking and logistic system that be helpful for your business expansion. We are looking for these services. 5 Filing of estimated chargeable income (ECI) and corporate tax (Form C/Cs) – IF applicable. PHP is a one stop services provider for all business/ company incorporation and continuity needs, you can now customizes and pay for only the services you need using our online http://www.ibizfile.com system to register with us and we can start work right away. We want to start a trading business in Singapore. Entities of any type can be registered with ACRA, which is something we will be able to do for you. On successful registration with ACRA, the business or company will be given a Business Registration Number which is also its Unique Entity Number (UEN). UEN is a prerequisite to interact with any government agencies. An entity must mention its UEN in every application made by it for a permit, license, certificate or other document under the Regulation of Imports and Exports Act (Chapter 272A). To start a trading company in Singapore, these are the steps you have to follow. Step 3: Applications for licences and permits for For import/export of all goods. We will of course need more details from you to understand about your business to be able to fully advise the right direction. Do fix an appointment with us online for a personal consultation. This is Leroy from United Bakery Supplies Pte Ltd.
Sure, we are available online 24hrs for registering so you can now chose the services you required and pay only the services you need (www.ibizfile.com). Our accounting and tax team will work on it once we receive your submission and follow up with email confirmation to you. 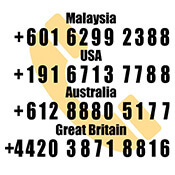 Should you need to visit or office, we are currently located in Singapore / Malaysia / Indonesia. Do make an appointment with our contact us link and our consultation will be able to assist you. I run a Private Limited Company in India, looking to expand operations in Singapore. Would like to get more information and engage on details. Should you need more details, you can also book an appointment under “Contact Us” with our Incorporation Specialist for a one to one session. How to incorporate finance company in singapore . You just need to incorporate a company with Acra to get started. Our online system ibizfile.com enable you to establish and setup your company online and we will do the rest for you. Try it out today! You can now register online via ibizfile.com to incorporate your company and we will do the rest for you. Hi, I have a BVI domicile company that I would like to open bank account in Singapore. It seems to me that your firm provides this service. May I know how much would the service charge be? Thank you. We will recommend OCBC or DBS for BVI Bank Account opening , it will take them 3 working days to 14 days for paperwork and due diligence checking. Please make an appointment with us for charges. Hi, I am looking for information on how to setup a trading company in Singapore. We are a company dealing in corporate gifts and promotional items based in India and would like to expand in the region. We would like to primarily perform trading activities of import / export in and from Singapore and also sell corporate gifting items locally in Singapore. We would appreciate if you can contacts us with the relevant information. We will need more details about your current company to assist your company setup better. Do make an appointment with our corporate specialist to find out more about registering a company in Singapore and trade license (if applicable – depends on the products you are importing). Hi, I would like to know more about set up a company in Singapore and its benefits. Kindly send me complete details for residence visa and family visa. Also I would like to know how long it takes to apply for immigration as well. Thank you for contacting us. Setting up a company in Singapore is quick and efficient with our all-in-one Incorporation with Employment Pass package.Please do drop us an email at paulhypepage@php-cpa.com.sg and our Corporate Specialist will get back to you as soon as possible with the details you require. We (Enviroskills Academy) are a Hotel Management Institute in India and has 17 centers across the country. We would like to explore the internship program for our students preferably F&B and House Keeping for Hotels in Singapore , If you can help me in getting the Visa details for these Interns. Are Indian Eligible for Training visa for hotel industry . In India we are already running this Long Term Internship program with Hotels Like .Park, Pride group, ITC, Sarovar Group, Novotal. and now we are planning to send our students for Singapore as well . We are ready to Start our new Center in Singapore for the same . Please revert on priority . Our highly recommended all-in-one Incorporation with Employment Pass package is the best way for entrepreneurs to get started here in Singapore. It will encompass all your business needs and is the fastest way to incorporate a company Do drop us an email at paulhypepage@php-cpa.com.sg for more information, we look forward to hearing from you. If you would like to setup a company in Singapore, we would recommend our all-in-one Incorporation with Employment Pass package which is the fastest and most efficient way to get your business up and running. For a more detailed discussion, please contact us at paulhypepage@php-cpa.com.sg to set up an appointment. We required annual services like Company Secretarial, Nominee Director, Office address, Book Keeping and ACRA/Tax filing for 2016 incorporated Singapore based Pte Ltd company having capital of 2000 shares held by One India based shareholder. All filing and returns were filed till year 2017. Till present situation company is dormant in nature and having general import and export business as its objective. Kindly provide fee details for above mentioned services on annual basis. Thank you for getting in touch. To be able to advise you better, please do drop us an email at paulhypepage@php-cpa.com.sg to set up an appointment for a detailed discussion with our experienced Corporate Specialist. My current agent just sent me my first annual renewal fees – and they are scandalous. I see on your web page that half of what he is asking for is not needed…. 1. Is it possible to transfer to you the ongoing care of the company? 2. Are the company secretary and the registered address what he refers to as Annual Domiciliation Fees? 4. Bottom line, what would be my total annual cost for transferring the company from the current agent to you? To be able to better advise you on the next steps to take, we would need to know more information about the matter. Kindly drop us an email at paulhypepage@php-cpa.com.sg to set up an appointment. I am currently in Singapore on a tourist visa and am looking to set up a company. I want to know what is the quickest and most reliable way to get a visa, EntrePass or EP? – what is your success rate in obtaining EP or EntrePass? – how long does it take to process and get approval? – how much capital do you need for either? Thank you for getting in touch. The quickest and most reliable way would be through our all-in-one Incorporation with Employment Pass package which will address all your needs to successfully setting up a company in Singapore and acquiring a work visa. To be able to advise you better, we would need more details about the company. Please do drop us an email at paulhypepage@php-cpa.com.sg so our Corporate Specialists will be able to discuss the details with you directly. We look forward to hearing from you. i have company that setup in Georgia country. can i setup branch in singapore ? What type of business do you plan to setup? We’ll be able to advise you better once we have more information. Do drop us an email at paulhypepage@php-cpa.com.sg to set up an appointment for further discussion with our helpful Corporate Specialists. I wish to start a company in Singapore. Please guide me. What sort of company would you like to incorporate? To be able to better advise you on the steps to take, we could first need to get more details about the company and nature of the business you have in mind. Do drop us an email at paulhypepage@php-cpa.com.sg to set up an appointment for further discussion with our helpful Corporate Specialists. I am foreigner and just seeking job in singapore which no longer than 1 year engage . however, many company ask me to commite before but my problem was caused do not have kind of pass holder. I have master studies in UK , just looking into start jobs in singapore. may you can helping out this situation . To work in Singapore you would either need to be employed by a Singaporean employer, or you would need to start your own business. We have an all-in-one Incorporation with Employment Pass package for entrepreneurs who are seeking to setup a business of their own in Singapore. If you need more information, please do drop us an email at paulhypepage@php-cpa.com.sg. To be eligible to work and live in Singapore (if you want to relocate to Singapore that is), you would need a valid work visa which can be acquired either through a local Singapore employer, or if you were to set up a company of your own. We offer an all-in-one Incorporation with Employment Pass package which is the quickest, most effective way to establish a base of business here. Do drop us an email at paulhypepage@php-cpa.com.sg to set up an appointment and discuss further. I would like to incorporate my startup in SG. I am a citizen and resident of India. We plan to operate the startup from India for now, but have the registered office in Singapore. Could you please assist us? The startup would be a mutual fund that invests in blockchain assets. Our all-in-one Incorporation with Employment Pass package is the most efficient way for anyone who wants to set up a business in Singapore. Please do drop us an email at paulhypepage@php-cpa.com.sg to set up an appointment for further discussion. we are five people want to start a facility management services company in Singapore. all we want to relocate so kindly advise what is the procedure for it. The office address for one year mentioned in your website is that virtual office. can we all 5 relocate with E Pass by a company incorporation. What Fees for us and what qualification is eligible ? how long the entire process will take ? The quickest and easiest way in this case would be to select our Incorporation with Employment Pass package, an all-in-one solution that will encompass all your business needs. Do drop us an email at paulhypepage@php-cpa.com.sg to set up an appointment for a more detail discussion. We look forward to hearing from you. I am from Nepal.We are working as a distributor agents mainly for liquors in Nepal. I as well as my family wants to start a business in Singapore and wants to live there. Could you please suggest me about the possibilities? We would recommend our all-in-one Incorporation with Employment Pass package as the quickest and most efficient way to start a business in Singapore. Do contact us to set up an appointment for further discussion, we can be reached at paulhypepage@php-cpa.com.sg. We are free zone company in Dubai. Please advise us how can we open General Trading off shore company in Singapore ? We would need more details about the company in order to be able to better advise you further. Do drop us an email at paulhypepage@php-cpa.com.sg to set up an appointment for further discussion. My friend (Singaporean) who has an intention to expand his business and he had operate the business for 2 years on his own. If I would like to invest in his business what are the minimum capital that i have to invest and am I able to apply an EntrePass and at the same time can I hold an Employment Pass? We would need more details about the nature of the business in order to be able to better advise you on the next steps you could take. Do drop us an email at paulhypepage@php-cpa.com.sg to further discuss your available options. I’m a foreigner and i am a diploma graduate currently holding student pass. Together with my local partner we would like to set up a company in Singapore. Please kindly recommend me which package will be more suitable in my case? Thank you. Great choice! You’ll find Singapore is perfect and welcoming towards new startups. We would recommend our all-in-one Incorporation with Employment Pass package would be the ideal option for you. Please do drop us an email at paulhypepage@php-cpa.com.sg to make an appointment. We are operating cross-border e-commerce marketplace in Bangladesh. We are 2 Co-founders, one is completed M.Sc & have work experience & designated COO. I am ACCA dropout after higher secondary & designated CEO. We like to incorporate our startup as holding or parent company with EP visa. We need also OCBC corporate bank account. Let me know which package is perfect for us. To set up a company, we would highly recommend our all-in-one Incorporation with Employment Pass solution as the quickest and most efficient route to take. Do drop us an email at paulhypepage@php-cpa.com.sg with more details about your company so we can advise you on what the next steps to take will be. I want to manage finance by financial market trading. Can i become a managing partner for a singapore firm ? Any age limit ? Should i must invest ? Can i continue to be a non-resient ? You’ve come to the right place. We are a one stop stop service provider for company incorporation. You may consider opening a Private Limited company in this case. We can assist you with that. Do contact us paulhypepage@php-cpa.com.sg for more details and charges. can you give me an info, what data i should prepare to build my store ( toys shop ) in singapore? Im from Indonesia and doesn’t have business in Jakarta. i want to start build toys shop in singapore. There are many business opportunities available in Singapore, and our Incorporation with Employment all-in-one package is the best option for entrepreneurs who want to build a thriving business in Singapore. All you need is your passport and proof of address as well as your business proposal and you are ready to start. Do contact us and discuss your options. I am a EP holder since August 2012 and changed my job in September 2015, Recently my existing company applied for renewal and it was rejected, My company has re-applied again. 1 What are the chances of the new outcome? You company may contact MOM to find out the reasons your EP was rejected, considering you’ve been an EP holder since 2012. Your company may then proceed to file an appeal, although the outcome would be hard to say for certain as it would depend on MOM’s judgement and if your company meets MOM requirements. I need to inquire about long term visas, like after registering a company in singapore, how many visas can company apply after registering company?? is there any criteria for being eligibile to apply visa for employees?? There are many other factors MOM may look into when it comes to visa application apart from your education, pay amount, work experience and also the background of the company applying the permit. We will need to understand more about your application before our EP specialists can advise you. Do drop us an email at paulhypepage@php-cpa.com.sg to discuss your options if you require our services. Please let me introduce my self, my name is Faldy and I’m working at PT Solusi Tunas Pratama Tbk (“STP”) that representing Kharisma Agung Pte. Ltd. (“KA”), our affiliate in Singapore. KA intend to obtain the Service Based Operator (“SBO”) License to support its activity in providing telecomunication services. Hence, can we check the requirement to obtain the license and the fee for assisting us on this? It would depend on whether you meet the necessary requirements to obtain the license. In this instance, we would need to get more details on your company so we can better advise you on what to do and the necessary business compliance needs. Do drop us an email at paulhypepage@php-cpa.com.sg for more details and charges. We will drop you an email with more information soon. Or you can contact us at +65 6221 4711 for a faster follow up. Am interested n your incorporation setvice for busiess. I am not particularily interested in any visa etc, unless I have to have one. Could you please provide a quote for incorporstion service and perhaps we can have a phone discussion. Dl, could you leg me know ablut your proce structure for the vitual office packages. I am from Pakistan and by profession i am an Advocate. can i do my immigration or enroll as an Advocate in Singapore. further more please let me know the whole procedure to formation a private limited company in the field of import and export in Singapore with its it fee in including your legal fee, paid up capital and PR after formation a company. wait for your prompt reply. I am holding s pass from last 4 years working as chef willing to start own f& b biz kindly suggest me planning to apply entrepreneur visa , without resignation from current job wanna apply visa . Hope will get positive reply . There is a few ways to start your own business in Singapore and it all depends on individual’s situation and qualification. Our representative will liaise with you shortly so that you can learn more about how to make it happen. Hi, I am planning to set up an online shop in Singapore (and a physical shop in the future), selling American make-up products that aren’t available in Singapore retail stores. I would like to know the procedures and everything. Please get in touch with me along with your fees. Thank you! We can assist you from the incorporation of a Singapore company. Please let our representative get in touch with you shortly. I’d like to know more about applying for PR through property investment. I’m Indonesian and not a degree holder. I wish to set up a beauty clinic in Singapore with a Singaporean partner. Can I apply for entrepass? Instead of Entrepass, we would recommend you to apply for employment pass for the new beauty clinic, as this is more suitable for your case. Please let our representative get in touch with you shortly for more information. I am from India. I already have a interior designing firm for the last 6 years in India. wanted to know if your firm can help me tie up with Singapore based designing firms, who wish to undertake projects in India and are looking for local partners. if yes then how to go ahead with it. kindly suggest. I would like to open a restaurant in Singapore, I’m currently holding a student pass and in university. There are 2 options, either opening a new brand of restaurant, or bring over an pre-existing brand that my family owns from my country. Please give some advice as to which option is better and if I still need to apply for EntrePass. Business such as restaurants are not eligible to apply for EntrePass. For other alternatives, our representative will be in touch with you shortly. I would like to avail your services to set up/ register an e-commerce retail business in Singapore in partnership ( both holding dependant pass) . We request the details regarding your services for registration , a registered office adress and corporate bank account. Please share the details along with the charges. I like to find out cost of a BVI(SPV) formation and the annua maintenance cost ? The cost of setting up a BVI company start from SGD3,800. Should you be interested, do drop us an email so my consultant can follow up and assist you. I am working in Singapore with an employment pass and My family too staying here in Singapore(dependent pass). My wife wish to start an online consulting work , she can do all the work from home using computer and website. Can you help me what all are the formality to start work ? is a dependent pass holder can start a company? how to register the company name and other formality. A dependent pass holder can work by obtaining a LOC (Letter of Consent). My colleague will email you with more details. Pls contact us once you are ready to start your company. I would like to start a small distribution business in Singapore. Now I have a dependent pass. What kind of visa should I change for? Have two university degrees. What is the minimum amount should be at my company’s bank account for starting the business? You can work with your dependent pass by applying a LOC (Letter of Consent). Do book an appointment with our consultant to find out more. HI, I want to start up a small business in Singapore. I am from Melbourne, Australia. I’m not a degree holder. Please kindly give me what are the options i have to setup my own business in Singapore. Please kindly reply. There are a few entities structure you can choose for your Singapore namely – Company, LLP, Partnership and Sole business. As for working Visa , I will recommend an employment pass even you don’t have a degree as MOM will also consider your working experiences. Hi, I’m Mandy from Malaysia. Im a online seller and now would like to expand the partnership at Singapore e-commerce site. We need to register a company in Singapore and apply the Singapore company bank account, so we only can start selling at online market place. In Singapore, we do not have a specific business licence for online. You can set up a Singapore company and we can arrange bank opening for you. Also do you have any counterparts in Mumbai ,India? Our business setup team will follow up and email you with more details soon. THe best way to startup a company in Singapore is to use our solution package of Incorporation with Nominee director. Depending on your working experience and educational background, we can then recommend the right kind of work pass for you. Book an appointment with our consultant to find out more! Hi, I have a friend from Malaysia who wants to set up a company in Singapore (i.e. as an investment holding company) as means to hold investments / invest in Singapore. Is a local Nominee Director required in this scenario? Yes, all Singapore incorporate company requires a local resident as the director. Should you need our services – Incorporate with Nominee Director. I’m from India. I have completed my B.E aero degree and I have no working experience. I would like to work in singapore. Can I have eligibility for S pass?? Pls suggest me sir..
You will be eligibility for S pass if the company that employed you have sufficient quota. As a degree holder, if you start your own company, you can also consider applying for employment pass*(condition applies). Do make an appointment with our Company Start up consultant if you need more information. My wife has a registered business for infant massages. She also works part time for my company. I would like to discuss how we can use her business to help reduce our combined tax payment. For example paying her as a consultant for the part time work and charging some of the car and rent to her business. Please let me know if this is the advice you can help us with. Please make an appointment with our Tax planner, Eric, he will be able to assist you with more information from you. Hello Sir I m from India . I want S Pass in Singapore. Please Reply. I will suggest you incorporate a company in Singapore and take up our package with nominee director. My colleague will email you with more details shortly. Do book an appointment to set up a meeting with us. I need employment pass in car detailing. For your kind information I am attaching my resume and photo for getting me job in automobile field as having related experience in this field. I need job in CAR DETAILING for first preference and rest you suggest the option with reliable job with eligible to my experience. In addtion I have passed 3 class driving license and in 2010 I have s pass job contract in BOON TECK BUS TRANSPORT CO. So I have fin number in driving license so go to the attachment and than place me at right place which make career opportunity for me..
Hi.As an Enterpreneur, I’ve just initiated plans to launch my start-up business, which i intend to incorporate in Singapore. And work right away. I’ve also got registered 2 domain names for my venture. The project report and business plan with revenue model are all ready. I need your company’s services to register my business in singapore; please give the financial requirements for setting up of a small start up company with limited self funding. I will appreciate if you give me all details regarding the visa which will allow me to carryout my business activity from singapore. In order to incorporate a company in Singapore, you need a local nominee director. To save cost on the nominee director fee, and manage the risk of having a third party as your director, we propose the ‘Singapore Incorporation with Employment Pass‘ service provided by Paul Hype Page Management. Our Nominee Director service may be employed for a year, for an additional fee.